Two of my BFF's are celebrating their birthday's this week. I singled them out because we share the same zodiac sign. Scorpios Rock! We really do; seriously, we do! My BFF for over 10 years. 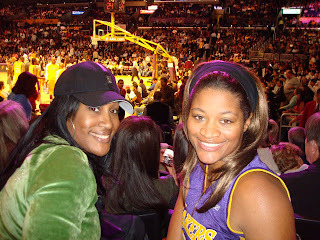 Lashan & Tiff at the final Lakers game last season. My BFF for almost 10years. I love my friends.